The weather is getting warmer and there are a lot of Texas wine festivals in April. 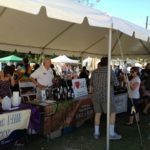 Now is the time to get out and visit some festivals and enjoy some excellent Texas wine. Here is a preview of just a small sample of some April Texas wine festivals. Be sure to check out our list of all the spring and summer wine festivals. I must start with this Old Town Spring wine festival from April 7-8 because Jeff will be volunteering to pour for a winery. 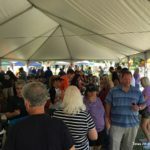 The festival may not be the biggest around, but it is always a lot of fun and there will be a lot of art vendors this year too. And if that isn’t enough, you have Old Town Spring to enjoy a day of shopping and dining. Check the website for more information. 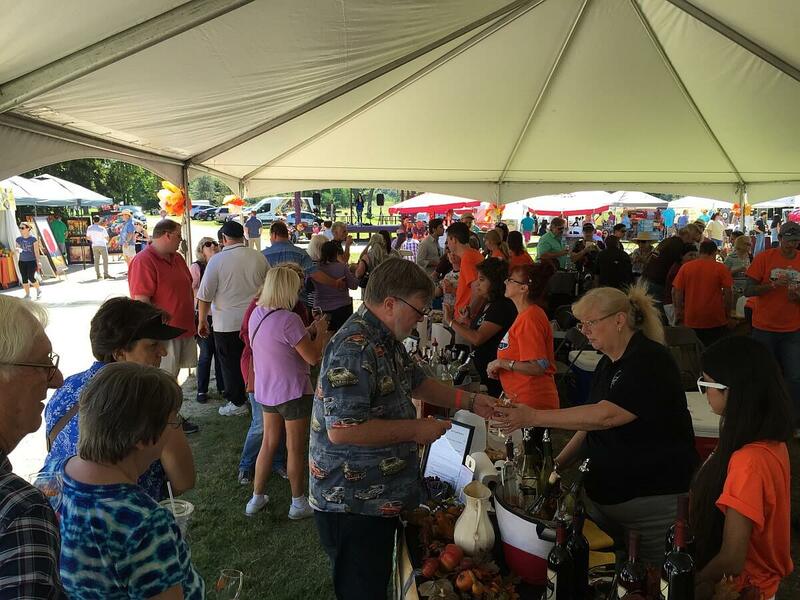 This fairly new wine festival in Waco is getting more popular every year. 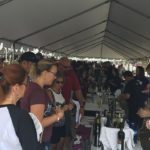 This year’s event is on Saturday, April 14 and will feature 16 of the best Texas wineries, small bites from local chefs, live music, and more. The website has more information plus how to get tickets. 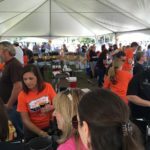 The 34th Annual Wine & Roses Festival held at Messina Hof Winery & Resort in Bryan is always a lot of fun. This year’s event is on Saturday, April 21. Besides wine, there will be live music, wine and chocolate pairing, the ever-popular grape stomp competition, and more. Check their website for more information and how to get tickets. Do you like rosé? Then the Texas Wine Revolution is where you want to be on Sunday, April 22 in Horseshoe Bay. Over 25 Texas wineries will be showcasing their rosés, so you will be sure to find one you love! The third annual event is very popular so you will want to get your tickets now from their website! 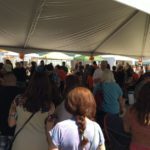 The Wine and Arts Festival held in historic downtown Midlothian on Saturday, April 28 promises to be another great event. There will be live music, food, art, shopping, and of course wine tasting from excellent Texas wineries. Get tickets and more information at their website. Jeff – Congrats on your blog rating! Love your web site. Keep up the great work. Do you have May’s list yet?